Authors down the ages have continuously negotiated with the urge to express their concerns with what they find disturbing a certain balance in self or society. For Orwell, this expression is seen in his writings that have stood the test of time. In his essay, “Shooting an Elephant”, written in the form of memoir, he makes no effort to conceal his agitated mind. This conflict arose from his awareness of the difference between public expectation and his natural impulses. His constant probing into the hollowness of the Imperial regime illuminates his insecurity in being a part of the system. Imperialism, for him, becomes not a state of empowerment, but of enslavement, imposing on him an unending feeling of guilt. 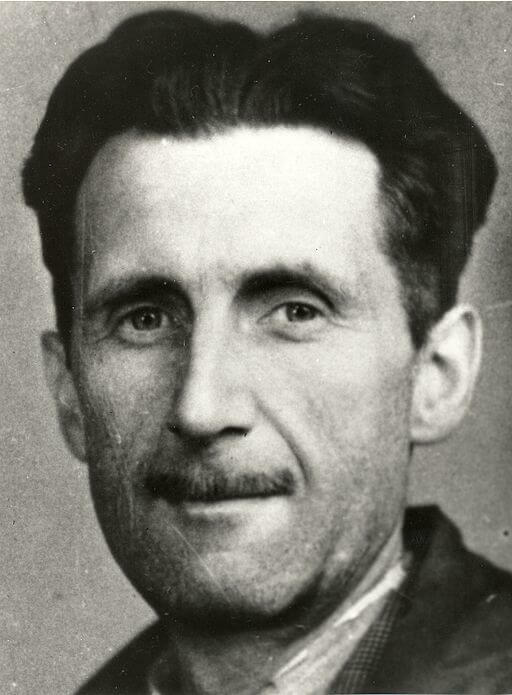 The essay opens with a recognition of Orwell’s “otherness”—an existence amidst hostility disguised as apparent submission: “I was hated by a large number of people.” In the opening paragraph, he expresses his constant fear of being ridiculed by “sneering yellow faces”. However, his choice of words to describe the native Burmese crowd reminds somehow of Conrad’s words in “Heart of Darkness”, although Orwell’s attitude is far more sympathetic. Yet, he sometimes acts as a typical colonizer in his depiction of the colonized. They are not individualized but become mere “yellow faces” or “evil spirited little beasts” who invariably enjoy distorting a story. Orwell’s sympathy is more idealistic and theoretical than real, with a constant urge to live upto other people’s expectations. This urge is so deeply ingrained in him that he feels like wearing a mask all the time: “only an absurd puppet pushed to and fro by the will of those yellow faces behind.” The mask is that of a powerful ruler, ready to undertake any risk. While the sensitive man inside would recoil from the idea of killing an innocent harmless and precious animal like an elephant, the mask outside would not let him do otherwise. He realises how colonialism jeopardizes the freedom of both imperialist and colonized. His decision to carry the rifle was based on a defensive strategy whereas the choice was taken away from him at the time of action, the only reason being “one long struggle not to be laughed at”. British rule in Burma, also known as British Burma, lasted from 1824 to 1948.
caught trampled on and reduced to a grinning corpse like that Indian.” He was afraid of being laughed at, he had to assert his difference. It is this difference that gets highlighted after the elephant meets its end. The devilish roar of cheering natives is set against the overpowering and silencing guilt of the executioner. The Saheeb wished to speed up death to reduce suffering, the natives hardly bothered about it. Orwell emphatically uses the expression about the elephant being “powerless to move and yet powerless to die”. This almost echoes the state of British rule in the colonies. Nevertheless, the feeling of superiority continues in Orwell who dismisses the claims of the Indian owner of the elephant since the Indian is powerless. The attitude of the Europeans, especially the younger ones is even more peculiar who thought that Orwell took the revenge of the coolie’s death because the elephant is more useful. Finally, the whole experience becomes a treacherous consolation for Orwell who justifies his action based on the death of the coolie which is not the real case at all. In forfeiting his own reality, Orwell becomes a victim of spiritual death, a numbness characteristic of Imperialism and its perpetrators.